Some people would not understand your choice of black and white bedroom design. This has two opposing colors with different connotations. Black is negative while white is positive. 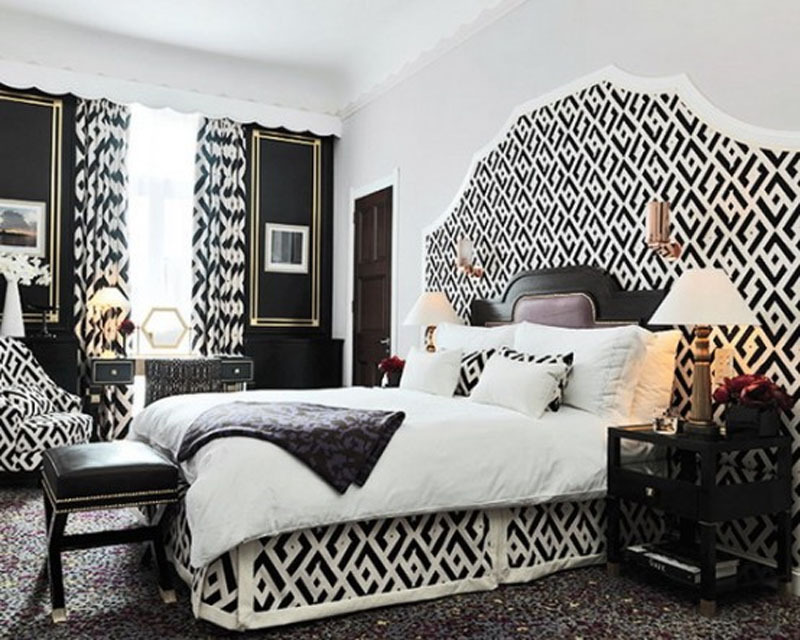 In modern interior design though, the black and white colors in a bedroom create a strong and dramatic contrast. Using these colors appropriately in the walls, flooring, furniture, fixtures and accessories, the impact would not be harsh any more. Black and white colors for a bedroom may not really offer the warm glow of beige or natural wooden colors; what the high contrast creates is classic, peaceful and timeless appeal that can make the room inviting, relaxing and restful. The combination of black and white for a bedroom is very simple yet your black and white bedroom can stand-out in various ways. These stunning black and white bedroom interior will definitely help you to give the beautiful look to your home. Well, If you have applied these design in your new home and moving into a new house. You need a kind of service provider who can help you with that. The key to make the black and white bedroom dramatic is to create a balance between these two hues. If your floor area is small and you want to create spaciousness, have white as the dominant color and accessory with small black items. Paint the walls and ceiling with white and have the flooring in white too. The bed, wardrobe cabinet and night table are also in white paint. Now, create the drama with black lamps or chandelier, linens and paintings.You can stick to more white colored cozy sleeping room. To add a touch of black, paint one side of the room with black, possibly the headboard side. Your black and white bedroom does not to be in solid colors. You can also have prints, geometric designs or patterns on the headboard, bed frame, a chosen wall or in window treatments. One best technique in decorating this sort of bedroom is highlighting the contrast between the two contrasting colors. Where the light is, use white and where you want to have focal accents, use black.